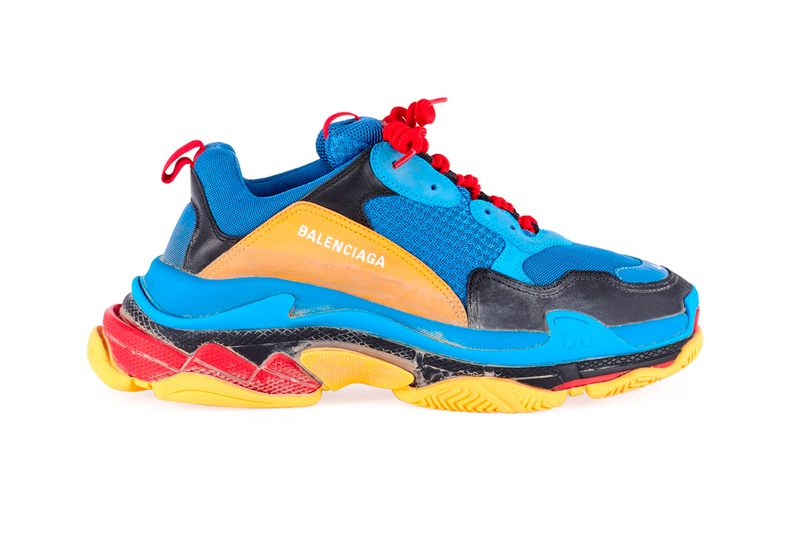 Since taking over the luxury sneaker scene last year, Balenciaga has released its statement Triple S sneaker in a myriad of colorway options, in a way setting the scene for this new release. Moving on from the “Grey/Black/Volt” motif we took a look at last week, this new rendition embraces a much more lively palette for the fall season. Fashioned from calfskin leather, mesh, and suede, a bright blue hue dominates the majority of the upper with black trim found on the front bumper, heel, and side, while a branded orange patch resting above the midsole adds further contrast. A bold tricolored sole unit, comprised of yellow, black and red, along with a grainy sand finish hitting the midsole area round out the new rendition. Priced at $895 USD, this new Balenciaga Triple S can be found now at Bergdorf Goodman. In other sneaker news, the Nike React Element 55 “Black/Volt” received an official release date. This is his ninth album to land on top of the charts. Perfect gift for the family. Yohji Yamamoto works his magic. A new colorway just in time for the Fall. Melding Western aesthetics with traditional Korean silhouettes.